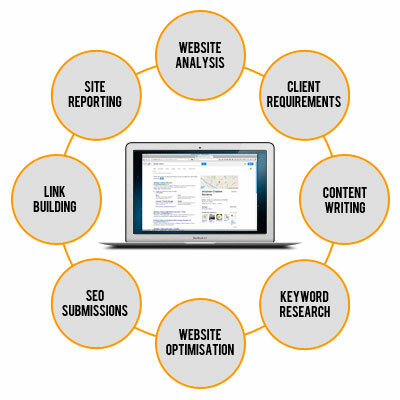 As a surrey web design agency we are always looking at the best ways and techniques to improve our clients’ websites and the rankings they achieve within search engine results – both via the search engine optimisation of their websites on-page and off-page. In the ever changing world of Google (and other search engines) and how their extremely complex algorithms spider your website and determine how highly your website pages rank for key phrases, it is always important to us as a web design agency in surrey to keep researching and expanding how we approach our key phrase research and the implementation of these on and off site. In this post we will be looking at some of the important ways to achieve better on-page SEO and rankings for your website going forward. Your key phrase research and implementation across your website should be based on it being page specific. Looking at each page on your website, it should ideally have its own unique key phrase (or phrases) based on the content of that individual page. Your key phrase(s) should be relevant to the information given on that page because the search engine’s algorithm that spiders your site scans through the text on your page to determine whether the key phrase you are using is actually what that page is about. On each page of your website it is good practice to use the key phrase and variations of the key phrase so the search engine can see it is relevant to the copy (e.g. if the key phrase is “Running Shoes” you need to make sure this is used as the dominant key phrases but in the copy try using variations like “shoes for running” and “running in shoes”, etc). If you try to use key phrases that are not relevant to your page, then you are likely to be ranked lower as it sees this as keyword stuffing. Another factor of bulk stuffing key phrases on to pages that are not completely relevant is you can also affect your ranking as Google sees someone clicking on a link through to your website and then clicking on the back button to go back to the search results page as a negative. In other words, they see your page as not relevant to the search that has been made. Use your key phrase or phrases at the beginning of your page title tag, followed by the page name and then the company name. These titles should all be unique throughout your site. It is good to try and include your main key phrase as part of your URL name or folder name. These should be unique and ideally contain your key phrase. Although this does not affect your ranking for a key phrase, it is good practice to do this as searches where the key phrase is highlighted in the description make people more likely to click through as they see it as more relevant. Google does not use meta keywords as a ranking factor anymore, so the use of these on page is no longer necessary. Make sure you include your key phrase as a part of your heading near the top of your page. Make sure you include your key phrase as a part of at least one of your image ALT tags along with the image description. This is also important if people are using image searching via their search engine. Try and include your key phrase(s) within the text of your links (internal and external links). These key phrases should be for the page you are linking to and not the page you are on if internal and if external the key phrase should have relevance to the page it is going to. So rather than using “click here” or “find out more”, try and fit in the key phrase as a part of this. This is now a high factor within the search engine algorithm. Make sure you include your key phrase(s) at least two or three times within the body copy of your page and also the variations of the key phrases used. Forget using PPC and paid links as a part of your SEO strategy. There is no evidence that this helps you gain ranking within the search engine’s results. Always create a site map page and site map XML on your site as this helps with the indexing of your site by search engines. When you view search results on your mobile device you may find that results are appended with a ‘Mobile Friendly’ snippet, marking them out as having been spidered by Google and meeting their criteria for ‘Mobile Friendly’ pages. In a nutshell they’re boosting the ranking of mobile friendly web pages when searched for on mobile devices. In our next post we will look at our recommendations on how off-page SEO can help your website.